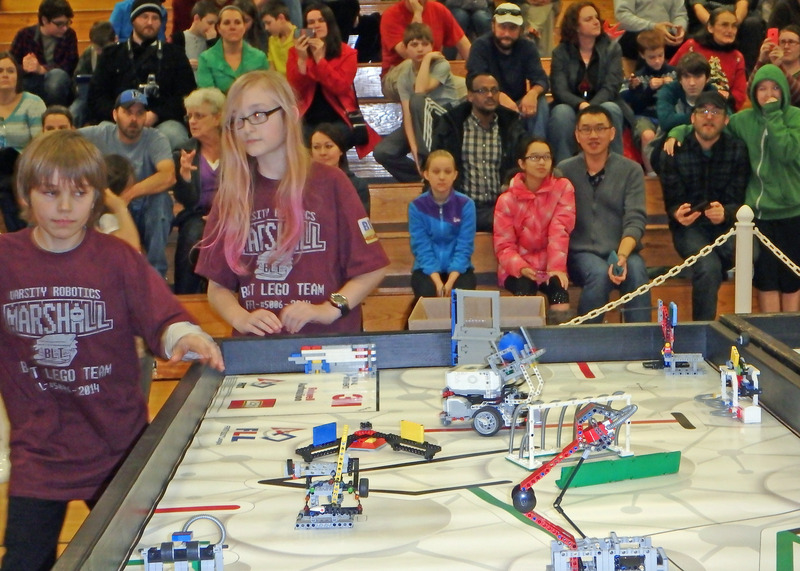 It was a very busy weekend for all eleven Olympia School District middle school varsity robotics teams as they competed in the FIRST LEGO League (FLL) Regional Qualifier at Chinook Middles School in Lacey. All five middle schools in OSD fielded Varsity Robotics Teams for this year’s international competition. 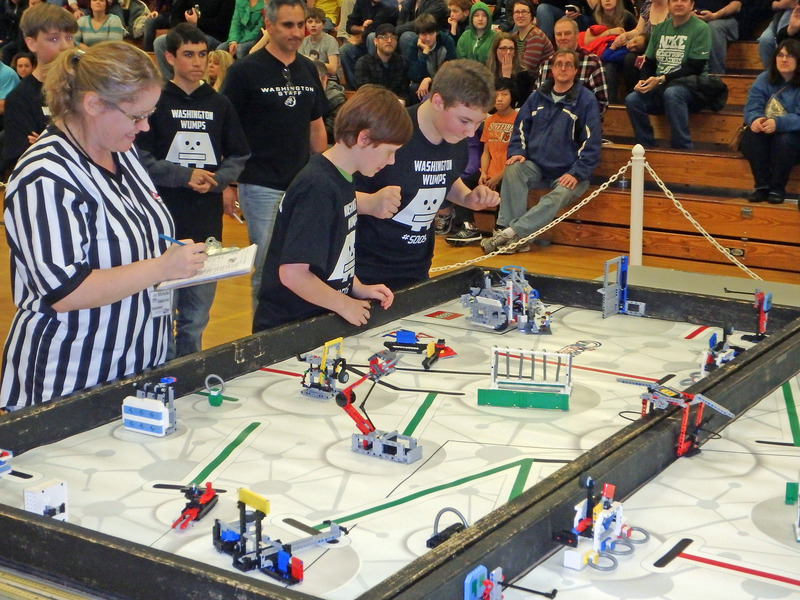 Just like varsity sports, these after-school teams are an opportunity for experienced students to take their Robotics, Science, Technology, Engineering and Math skills to the next level. 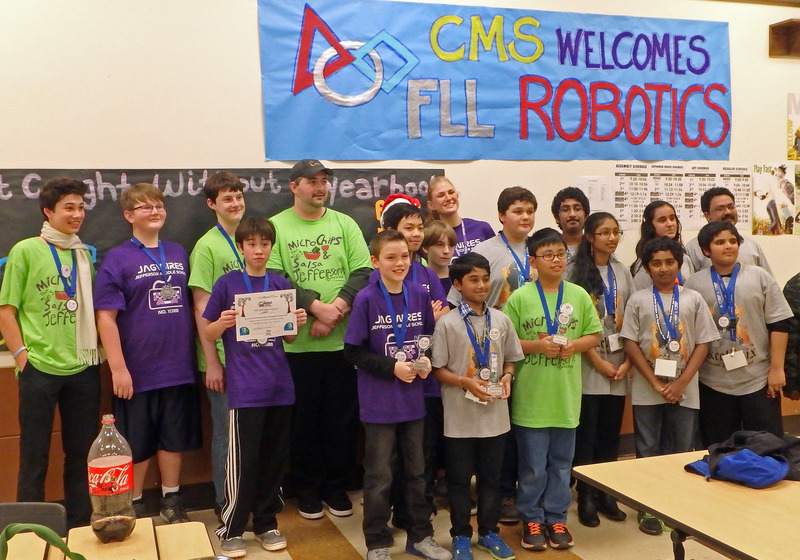 Marshall Middle School has a single team, Reeves and Washington middle schools have two FLL teams, while ORLA and Jefferson have three each. Five OSD teams from three schools won awards at Saturday’s event, and four teams earned berths in the Washington State FLL Semi-Finals (details below). At the Lacey FLL Regional Qualifier, our OSD teams had their chance to demonstrate their hard work on this year’s challenge, World Class. The teams were required to design, build and program autonomous robots to complete several time-sensitive Robot Game missions, as well as research, develop and present their Project solution to an engineering problem. This video describes World Class Robot Game, while this video shows a robot completing the missions from the previous year’s game (Body Forward). The process for developing the research Project for World Class is described in this video. On Saturday, all three Jefferson Middle School teams took home awards. MicroChips and Salsa (team 5003) won the Presentation Award for their excellent research project and innovative solution. 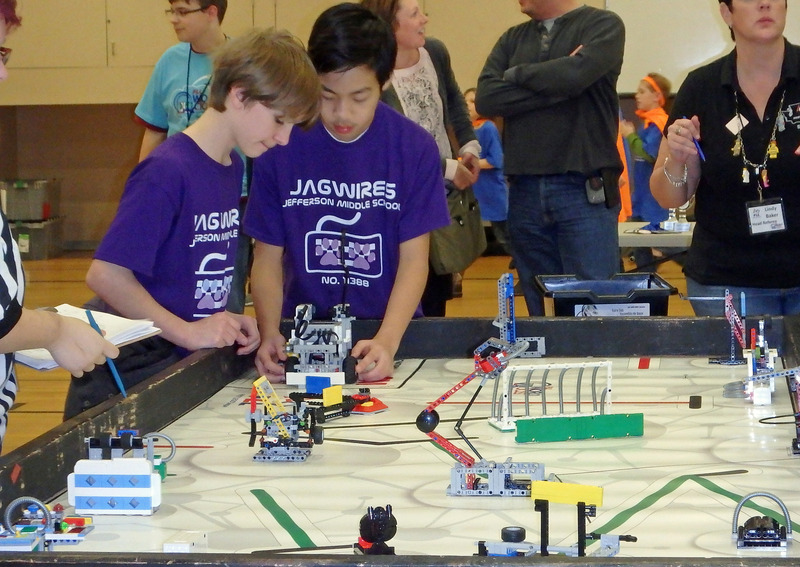 The Jagwires (team 11388) took home the Mechanical Design Award for their solid robot chassis and clever attachments. The Excalibricks (team 11389) took home the coveted Champion Award, recognizing them for the best overall performance at this 33 team competition. 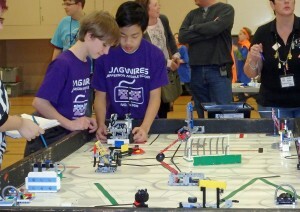 In addition to their awards, both the Excalibricks and Jagwires earned berths in the Washington State FLL Semi-final. Only eight teams from Saturday’s event will advance to this next round. This competition will also be held at Chinook Middle School in Lacey on Saturday, January 17. The Washington Wumps (team 5005) from Washington Middle School took home two awards at the competition. The team won the Teamwork Award during the Core Values judging by working quickly and cohesively to solve a mystery challenge. The Wumps also went home with top robot bragging rights, securing the Robot Performance Award by scoring the highest point total during the afternoon’s three Robot Game rounds. This Robot Performance Award also guaranteed the Washington Wumps a berth in the Washington State Semi-finals. 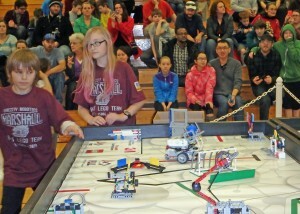 BLT – Best Lego Team (team 5006) from Marshall Middle School impressed the judges, referees and other teams alike. They earned the Gracious Profession Award, recognizing them as the team that best exemplified all the FIRST LEGO League Core Value. This award combined with the outreach from their research Project and their performance in the Robot Game also earned BLT a berth at the Washington State FLL Semi-final competition. Congratulations to all our FLL Varsity Robotics Teams and good luck to our four Semi-final contenders! !